This listing is for a single pair of capacitors. 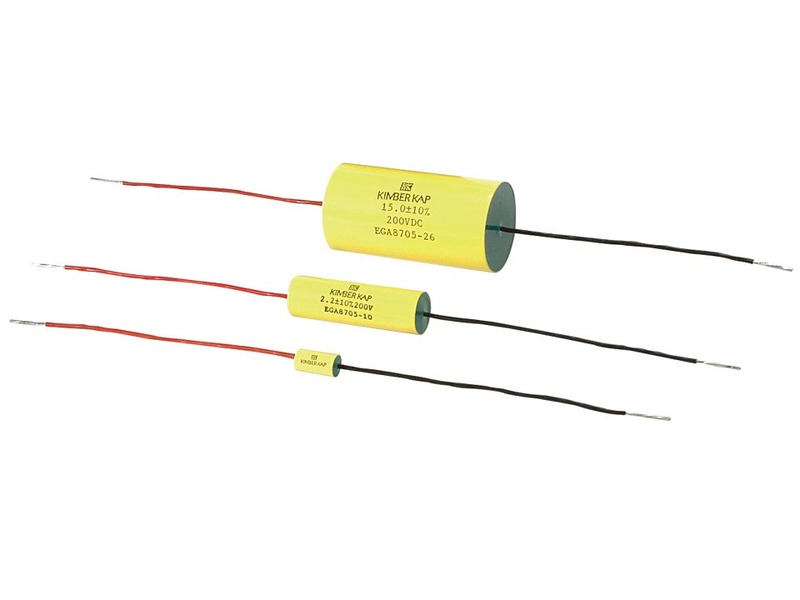 The Kimber is an excellent metalized polypropylene capacitor. The sound is similar to the Auricap. The Black lead is the shield. Tolerance is 10%. The Kimber Kap is currently out of production, so the parts below are basically NOS. As they go out of stock, they will be removed from this page.